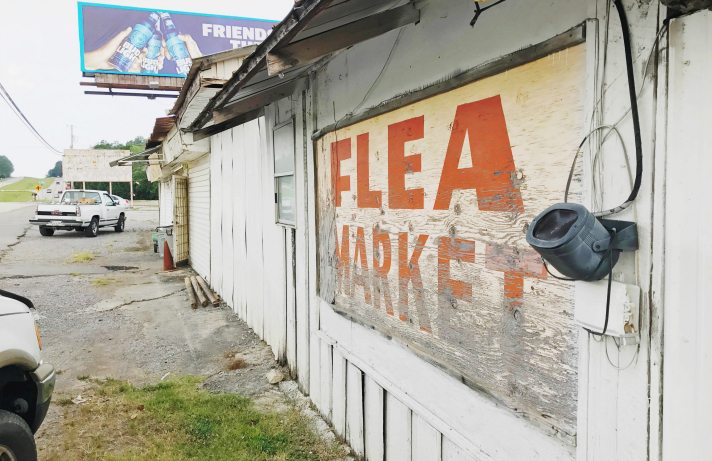 We'd set out with an intention of visiting family in Tennessee and loose plans for stops both along the way and off the beaten path adventures. One of those adventures included a stint in West Virginia. I'd never been, outside of a weekend at the Greenbriar, and Tim's been wanting to pay a visit to J.Q. 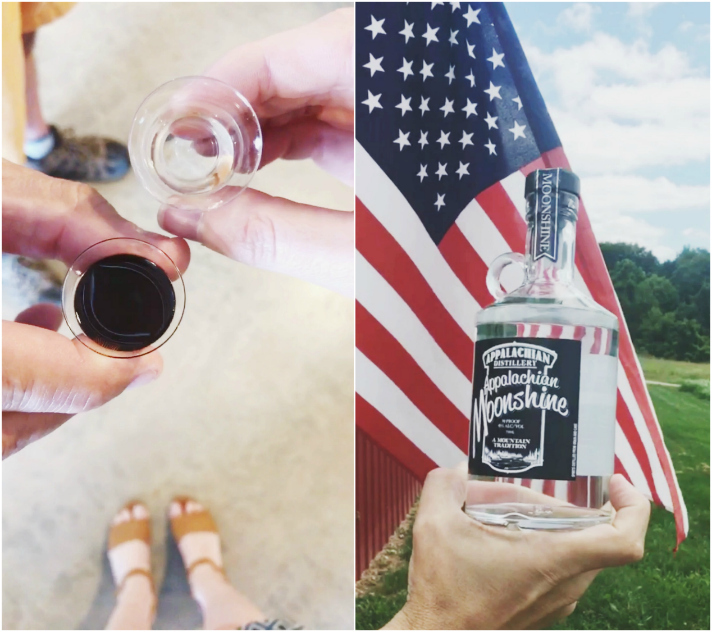 Dickinson Salt Works, a small batch salt producer — so we decided to make a week of it and hit both states in one go! 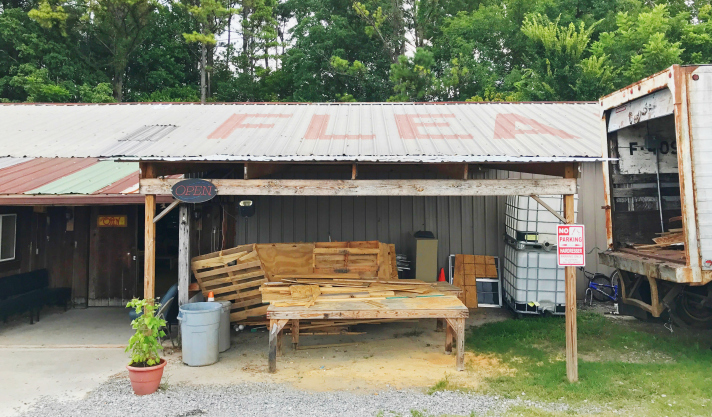 The drive routed along the Appalachian trail, which gave us beautiful glimpses of the mountains, farmlands, livestock-filled pastures, and the quintessential barns housed within. It was one of those trips for long staring out into the distance and getting completely lost in your thoughts. 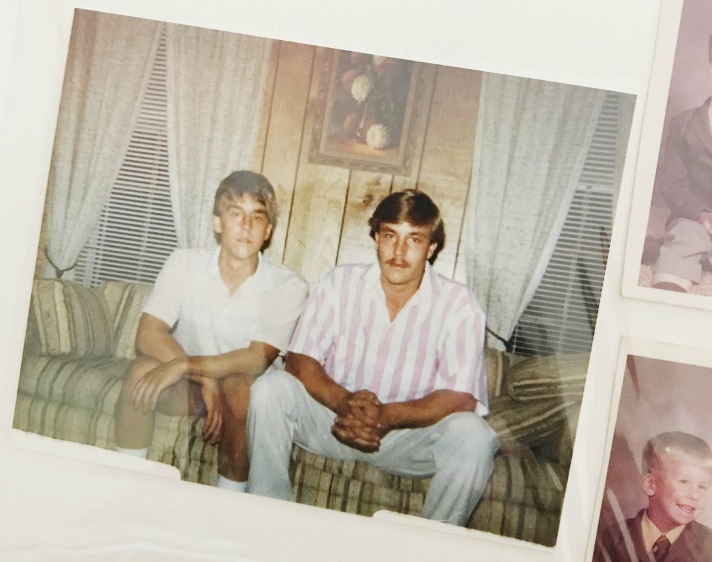 Tim researched and planned the majority of eat spots (no surprise there), which consisted of smaller local destinations we wouldn't typically find or have a chance to try if not in the area. On our way to West Virginia, we broke up the ride by stopping in Beckley, a cute university town. 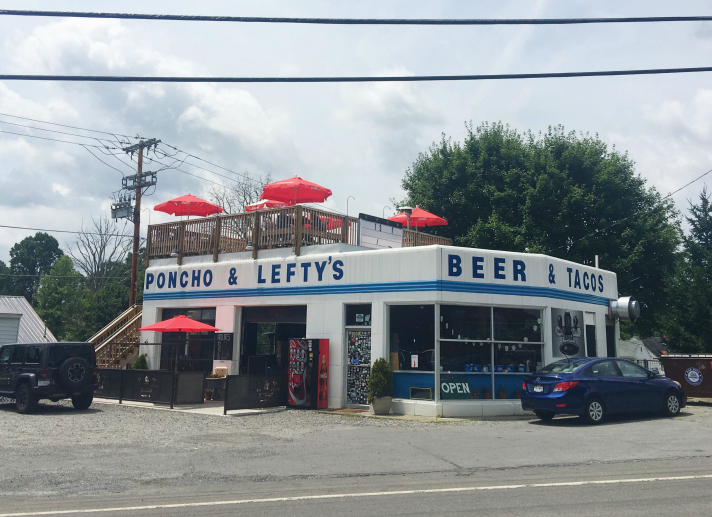 Poncho & Lefty's is a local taco joint operating out of a retired service station and made for a nice place to stretch our legs, fill our bellies and take in the scenery of the Appalachian mountains we don't have access to in Richmond. 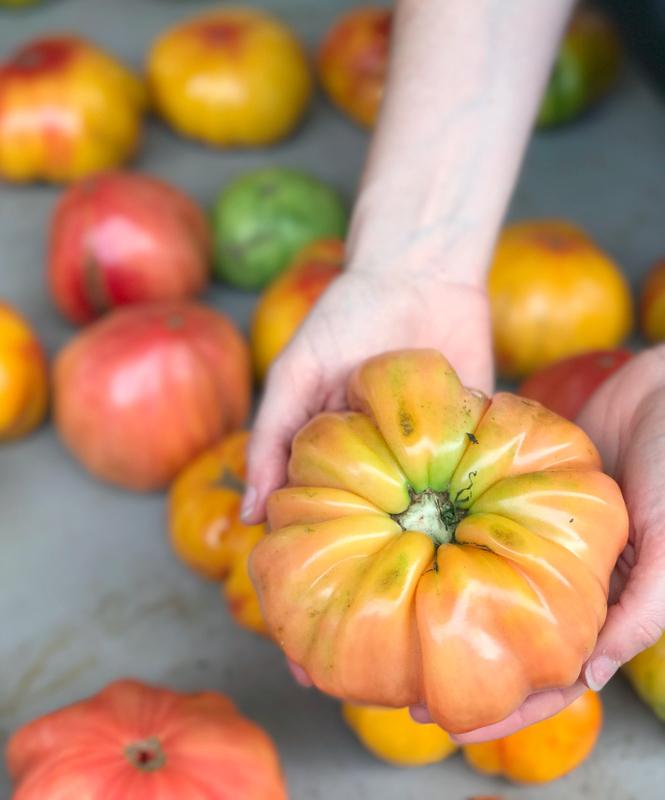 After arriving at our first destination of Charleston, we spent time walking the stalls of Capitol Market where I witnessed what I can only describe as the largest heirloom tomato varieties I've ever laid eyes on. I'm not sure what they're feeding the crops in West Virginia, but man — it's working! Like I'd mentioned, J.Q. Dickinson Salt Works was one of the stops on our agenda. Tim fell in love with their finishing salt after purchasing a ramekin at Monticello's Heritage Harvest Festival this past autumn. 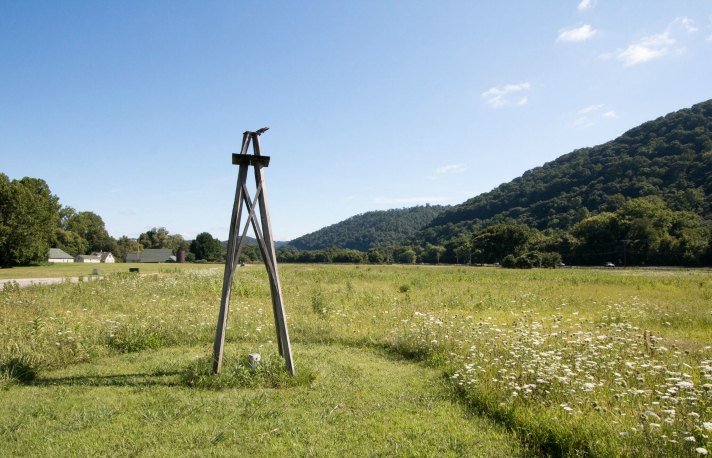 This small batch salt producer is located in a humble town just between the Kanawha River and a line of Mountains where an underground salt water ocean (aquifer) exists. In the middle of a field on the company grounds sits a modest well, responsible for pumping the briny salt water from this aquifer into the family operation of hot houses where the salt crystalizes and is eventually collected by hand. 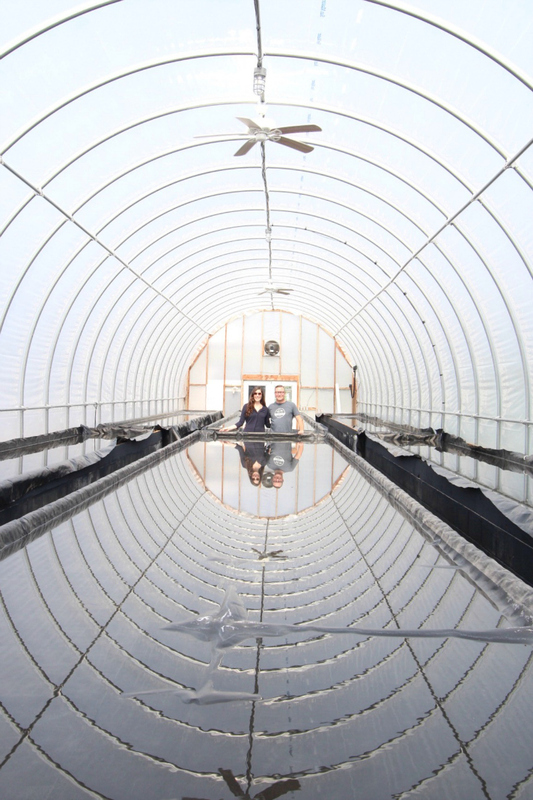 The hot houses look like standard greenhouses from the outside, yet transition into magical environments once inside — the brine water creates an illusion, mirroring the rings from the structure like a rounded tunnel. 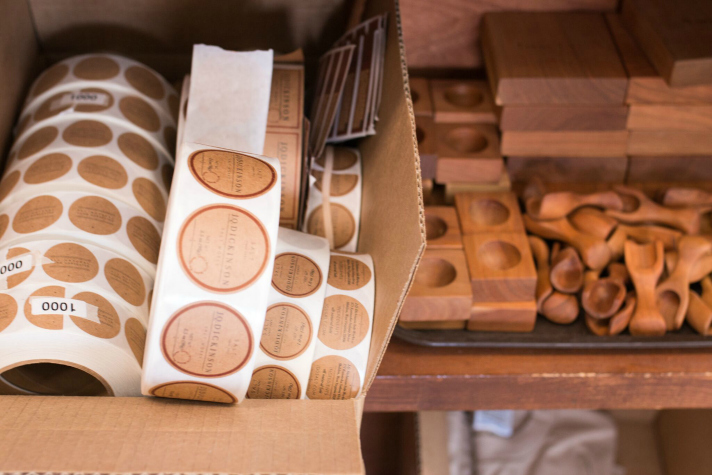 Everything here is done in small batches, by hand. 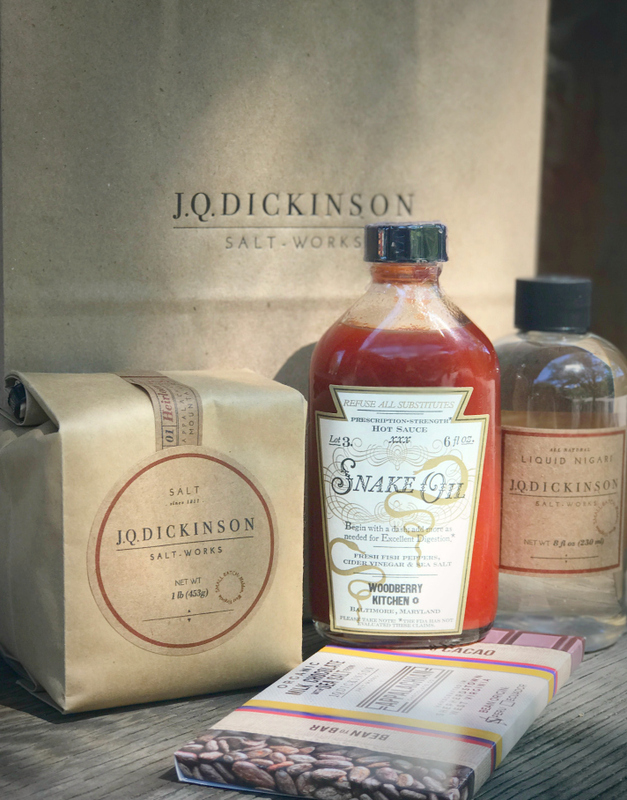 From the salt collection to the product labeling, J.Q. Salt Works was a treat to visit and we left with a small haul of goods to bring home including salt, chocolate, snake oil (hot sauce) and a small bottle of Nigari that Tim wants to try using for the foundation of homemade ricotta cheese. The grounds at J.Q. Salt Works were simply beautiful. 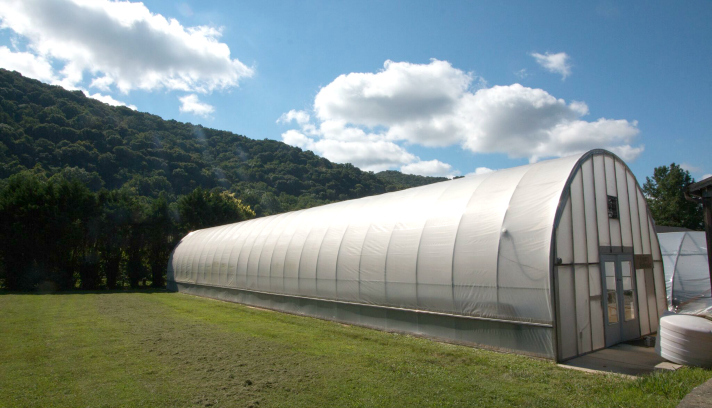 We saw pictures from the farm-to-table dinners they host on a monthly basis and kept thinking how nice of a place it would be for a wedding or small gathering. 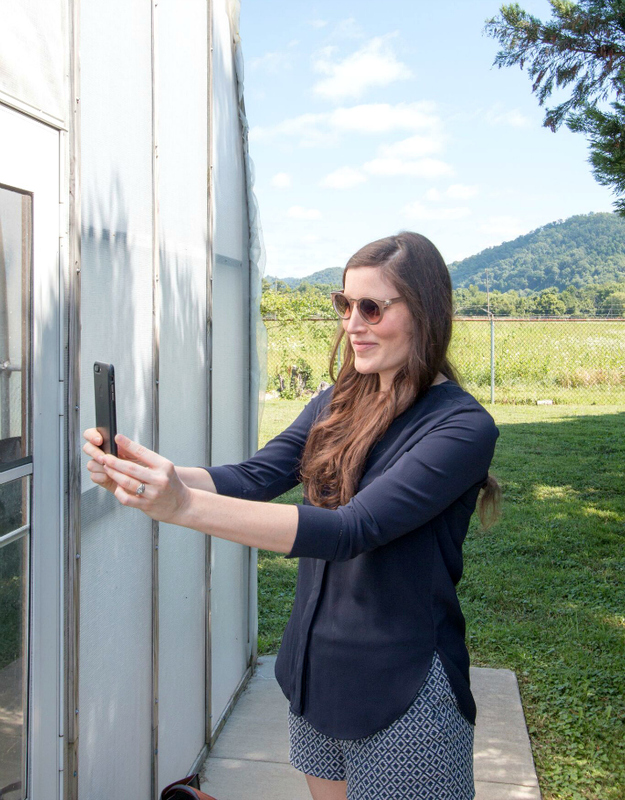 Here I am in the gardens trying my hand at narrating an Instagram story for a real-time look into our trip and the hot houses where salt was forming that day. It's funny how technology and the vehicle through which we share keeps evolving, know what I mean? 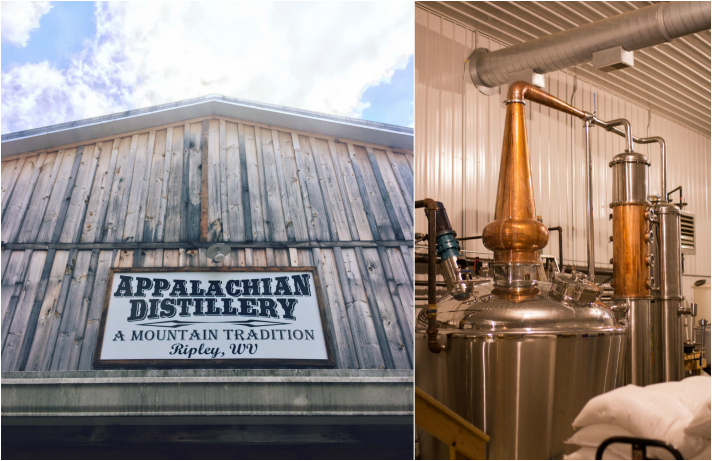 Later, we hit up another destination in Ripely, West Virginia — the Appalachian Moonshine Distillery. It was here we learned about the traditions from this small family operation and sampled moonshine flavors like coffee, pawpaw and my personal favorite (of which we ended up bringing a bottle home), just the plain stuff. 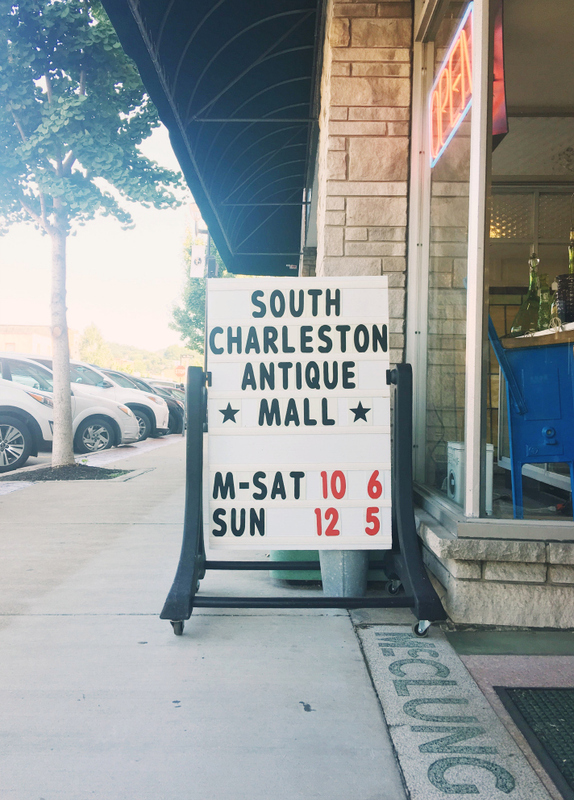 In between planned stops, we found ourselves wandering off the beaten path through the town of Charleston, which had some of the most charming sidewalks, store signs and antique shops to pop in and out of. 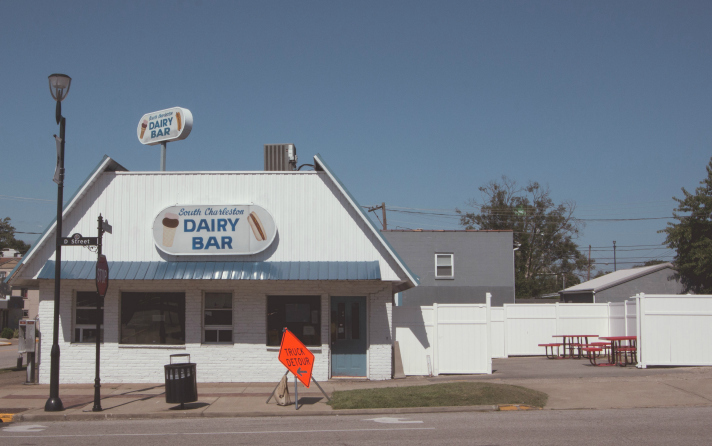 As a general rule of thumb, any town with the likes of "Dairy Bars" and "Liquor Stops" are probably a good bet. 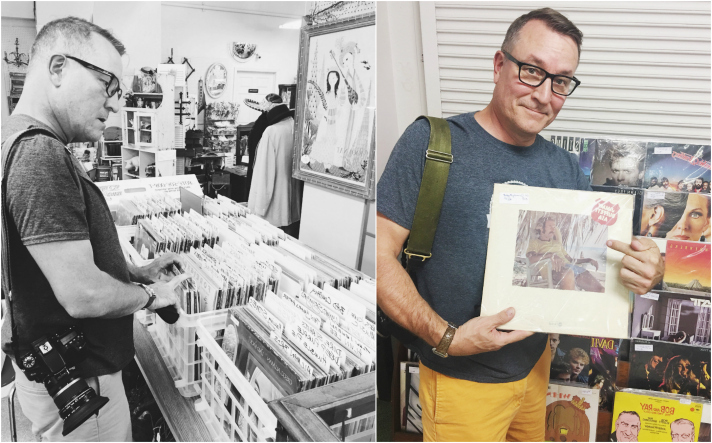 We found a few thrifted mementos to bring back home, and at one particular antique shop, Tim came across a couple early vinyls that have been playing on repeat since we got back home. Any other Kinks & Jimmy Buffet fans out there? After our stint in West Virginia, we were 100% Tennessee-bound and made our first stop in Knoxville for a plate of hot chicken. 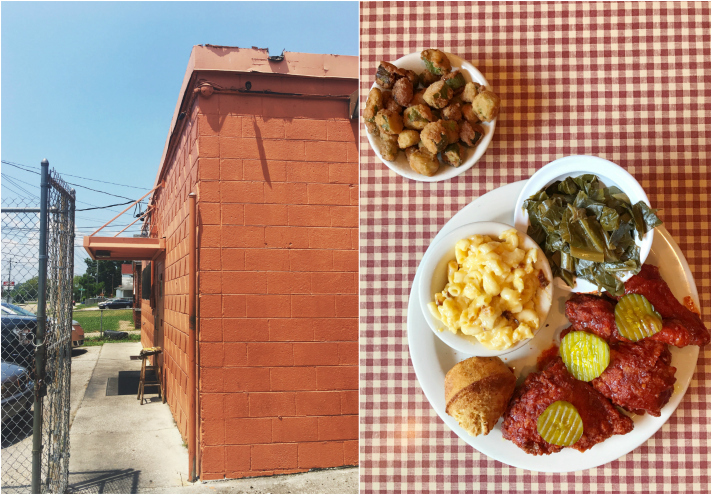 Known for soul food, Jackie's Dream is one to make a pit stop for if you're in or near the area. 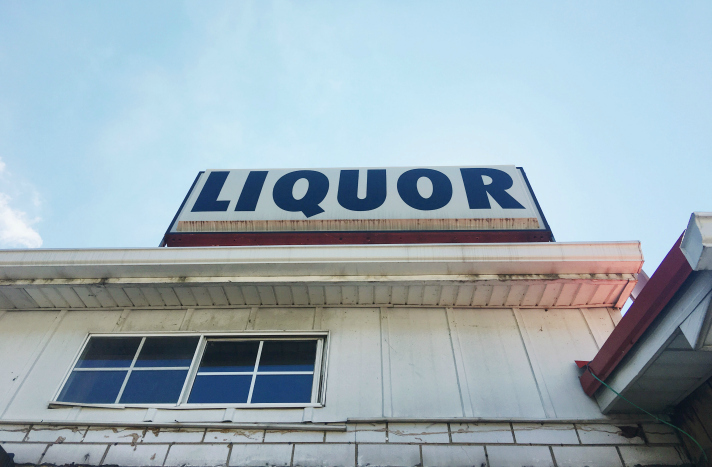 It's hidden inside a small cinderblock building, easy to pass by. For those in RVA, you'll understand what I mean when I say I'd equate it to Mamma Zu's — uncertain from the outside with food worth lining up for on the inside. Pictured above is Tim's order, a spread of hot fried chicken with pickles, mac n' cheese, collard greens, fried okra and a corn bread muffin. 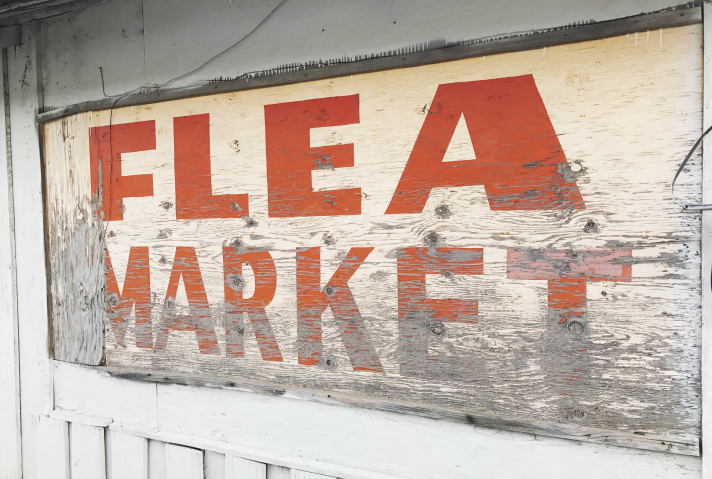 Our final destination, Cleveland, introduced us to roadside flea markets, a new-to-us southern side dish and the visit with family we'd planned the larger trip around. 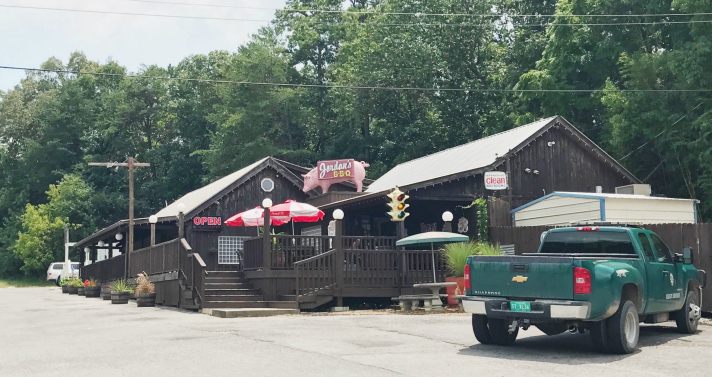 A favorite Cleveland eat spot was the local BBQ stop where we lunched with family, Jordan's. They served a side called "Hot Slaw." As one who considers myself well practiced in all things southern food, I was taken aback that I'd never heard of it and (of course) ordered it straight away. 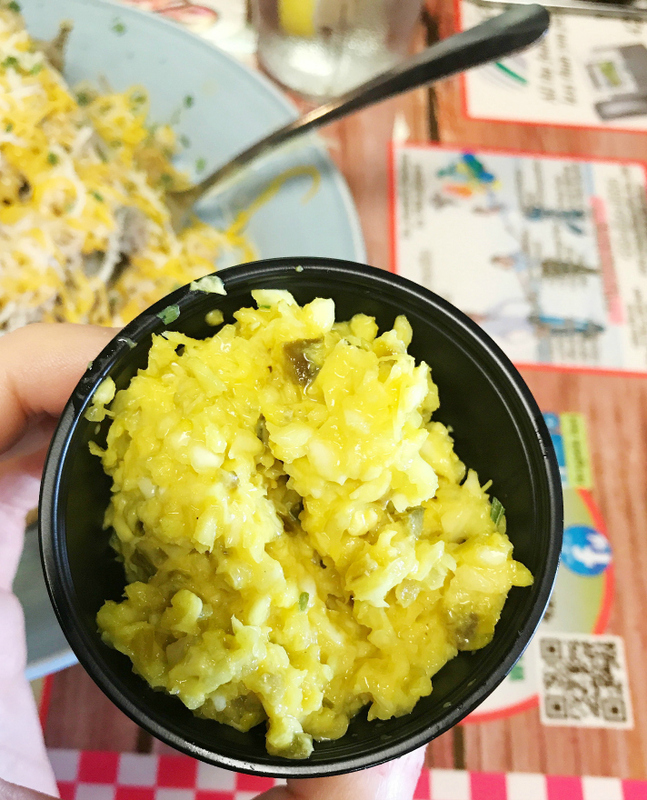 Cabbage + mustard + jalapeños, who knew? This little rendition of coleslaw is definitely one I want to try to recreate here at home. How bout the mustache on this guy, eh? 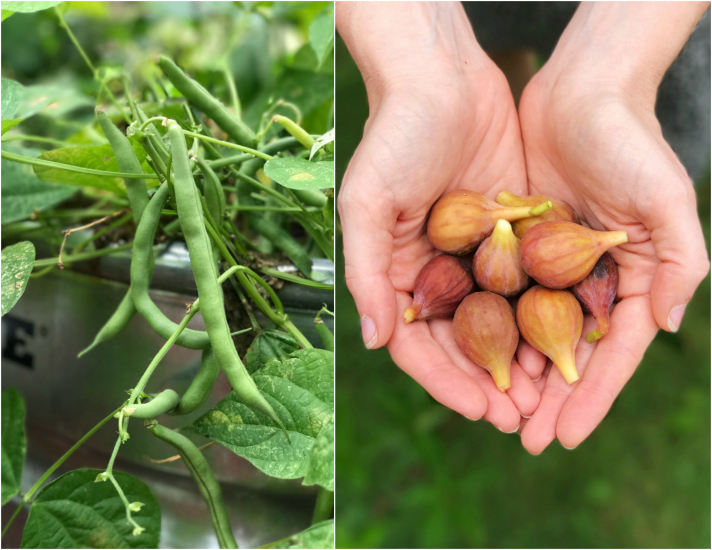 Before leaving, we spent time in the backyard garden where everything from tomatoes and pole beans to hot peppers and fresh figs was bursting with ripeness on the vine. 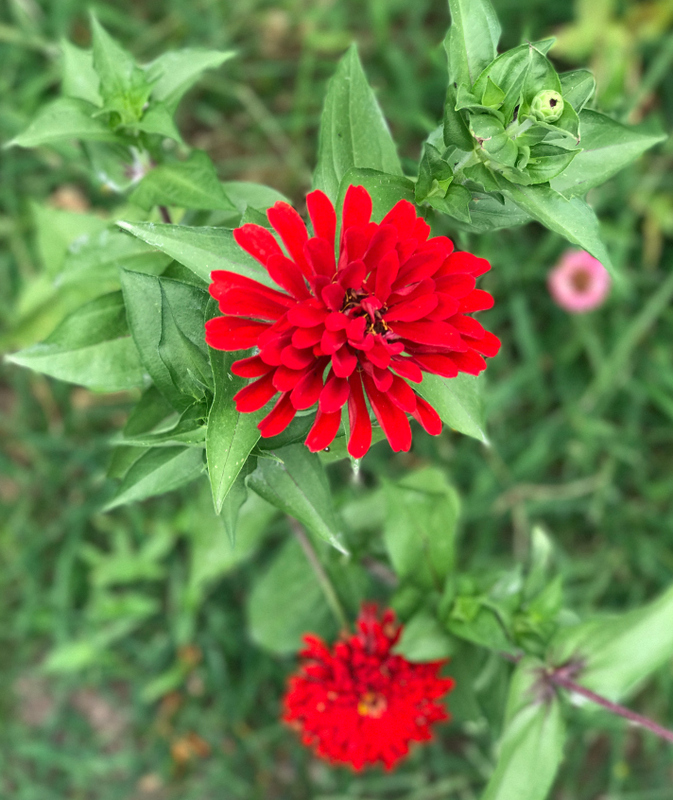 As family does, I loved hearing them reminisce over the gardens from years past and the childhood memories they share of recipes with fresh produce straight from their grandparents' backyard. 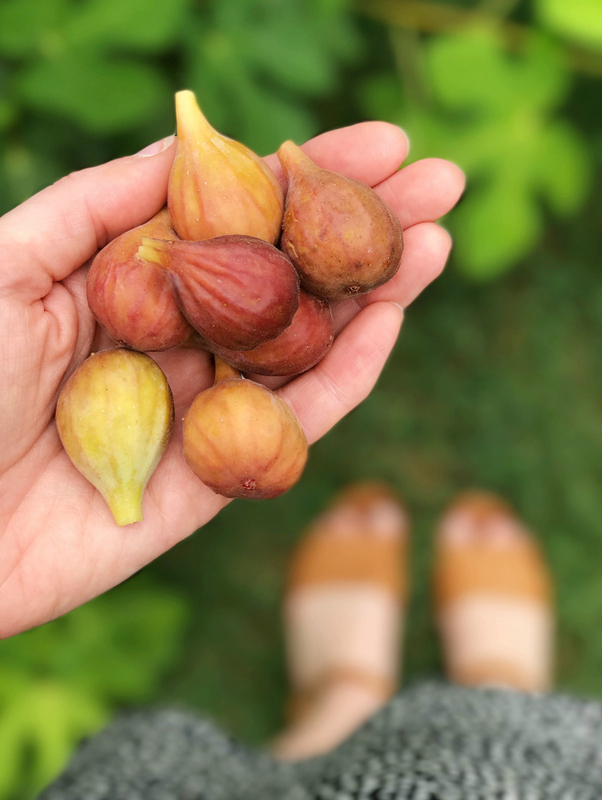 We left with parting gifts of brown turkey figs, smiles on our faces and a touch of wistfulness that our time here flew by so quickly. When it was all said and done, we were so happy to have gone and equally ready to head back home. 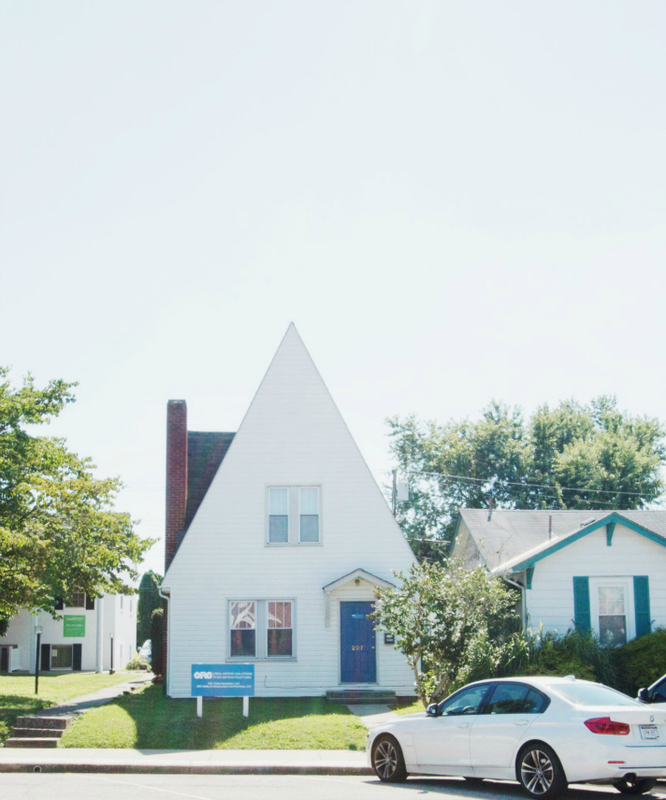 In the words of Wendy Wunder, "The magic thing about home is that it feels good to leave, and it feels even better to come back." 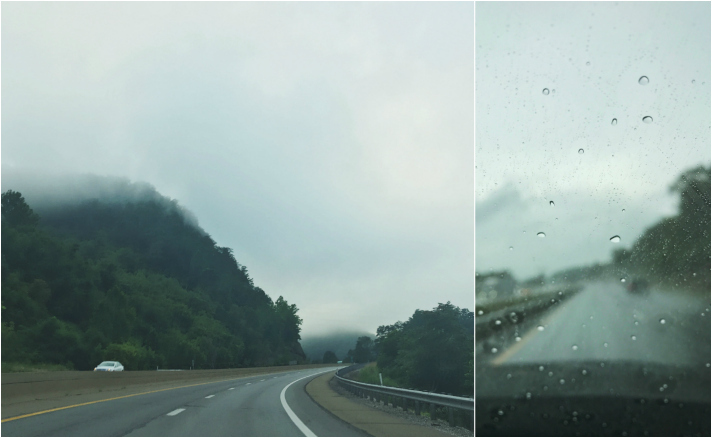 The drive home was foggy in the morning and dreary the bulk of our ride into Richmond — something we were actually thankful for in that we've needed the rain around here. Next up, we have plans for another quick trip down to Kinston, North Carolina in the coming weeks. 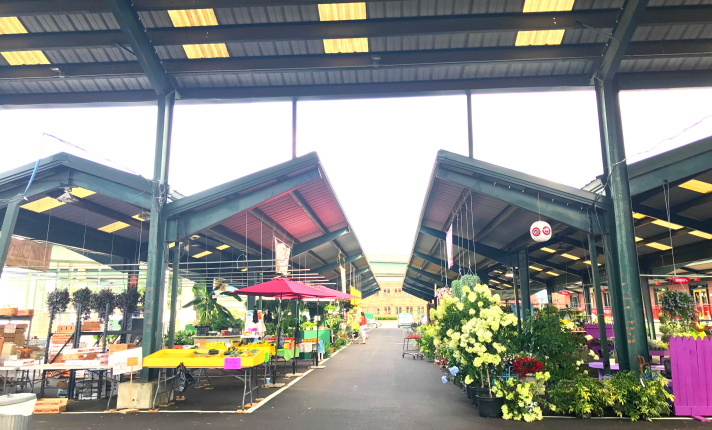 We've got dinner at Chef and the Farmer, lunch at Boiler Room Oyster Bar and perhaps a peach picking stop on the bucket list so far. If you're familiar with the area (or the drive down from VA), we'd love to know your local favorites!